It was music to our ears when we heard that after spending time at All Star Sports, little Theo has only gone and been snapped up by the blue half of Manchester. 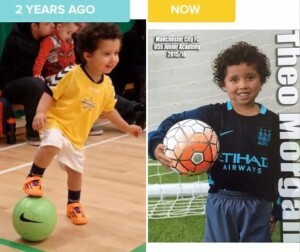 Theo is now registered at Manchester City’s elite Academy. We would like to congratulate Theo and the family on this excellent news and would like to wish them all the best!